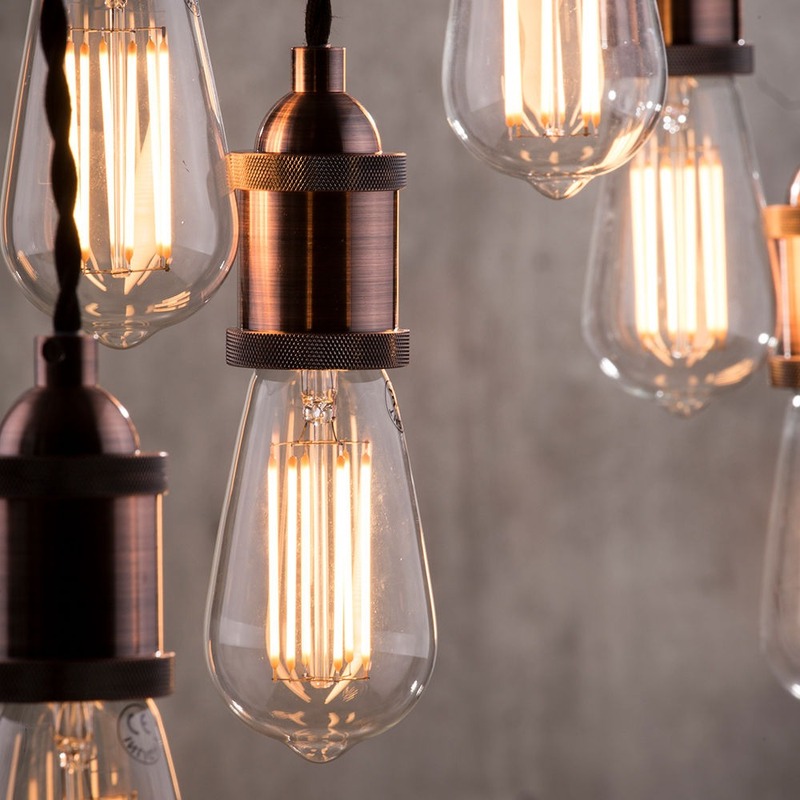 This 7 light pendant light is a stylish and eye-catching piece to introduce into any interior’s designs, offering a stunning industrial tone to the room thanks to its robust mechanical structure. 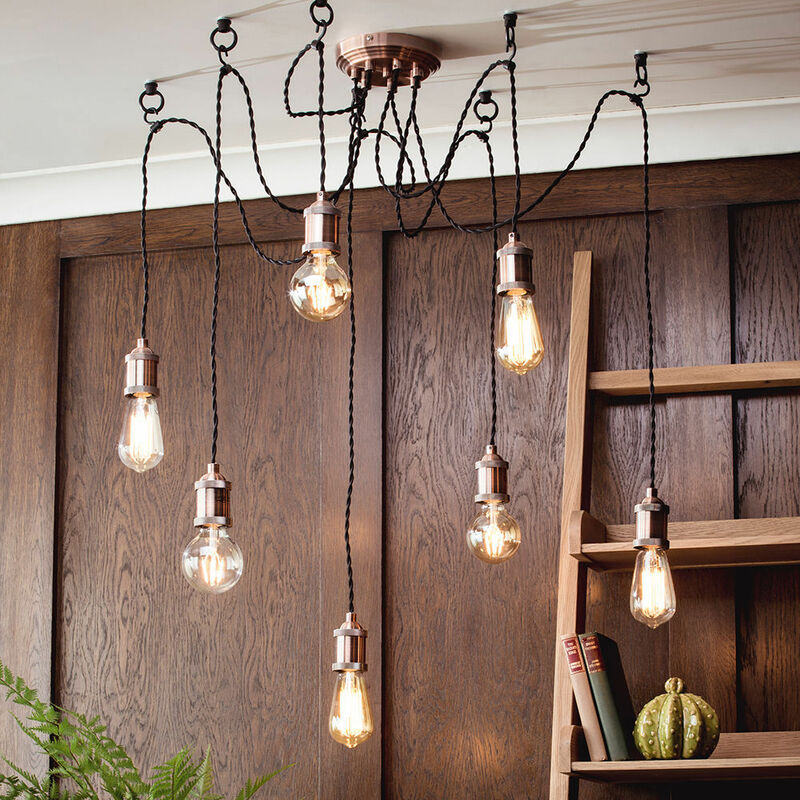 The piece feature 7 individual braided cable pendants and industrial style bulb holders which are finished in copper to match the stylish round base plate. 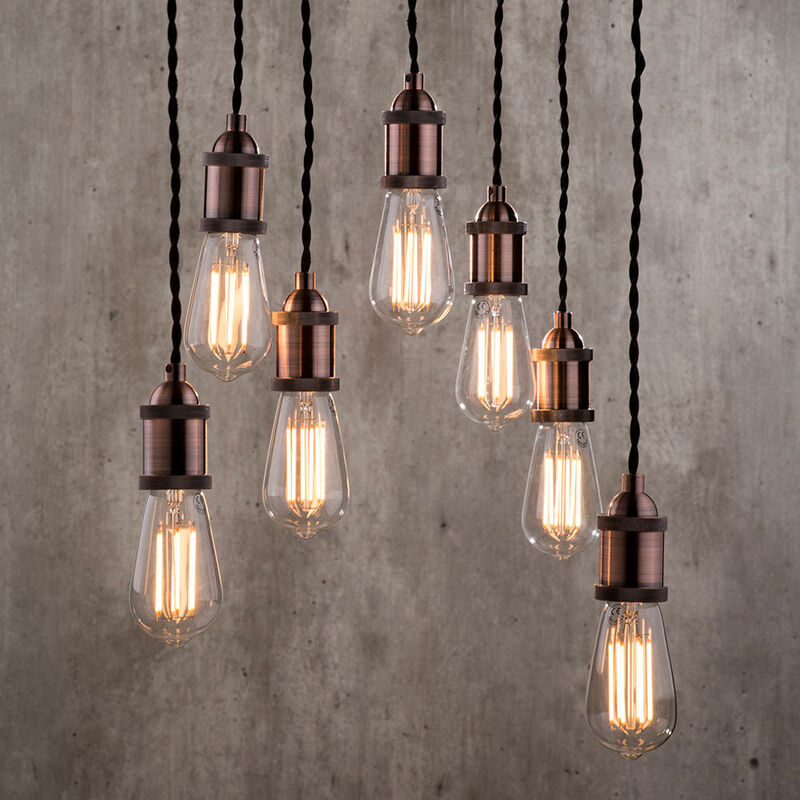 Bulbs are not included with this fitting, however, the piece is ideal for use with any of our vintage style bulbs and is sure to be a wonderful addition to any interior. 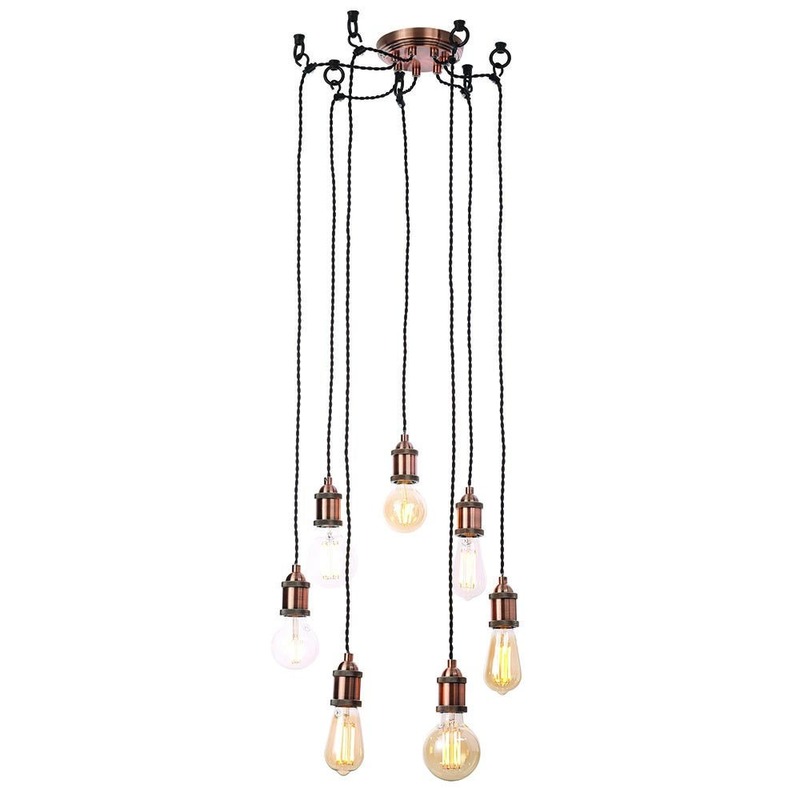 can be adjusted to suit a range of different ceiling heights.